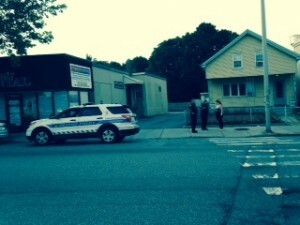 Citizens of Medford pay for public service. They don’t get it. In tough economic times Paul Camuso, Rick Caraviello, Fred Dello Russo, Jr. and Adam Knight voted for their own pay raise. Hold that thought about self service as you continue reading. 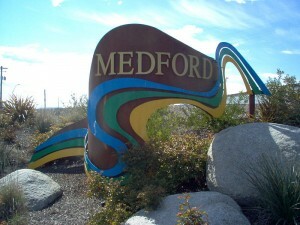 Citizens of Medford pay a fee on their cable subscriber bills that totals approximately 1 million a year. That’s a lot of money, to quote Richard Gere in the film Primal Fear, and those monies are not properly accounted for at Medford City Hall, despite the City Solicitor, Mark E. Rumley making a phony demand that Rumley has yet to make good on. It’s your money. 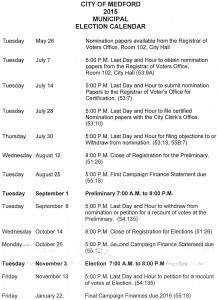 When a rookie city councilor voted for his own pay raise in January of 2014, and had tens of thousands of dollars behind him, it was money over experience, Adam Knight showing each week on camera how in over his head he was accepting the job of Medford City Councilor, a job Mark Crowley would have done much, more better, with more of an eye toward the community. 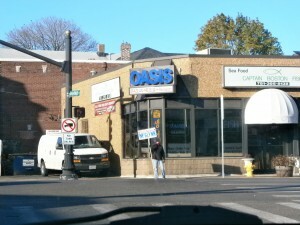 Citizens of Medford pay for public service that is public access TV. A million or so dollars a year. They don’t receive it. Where is the money? Where is the education? Where is the free speech platform? This entry was posted in Uncategorized on June 19, 2015 by communitymedia. CAMUSO VIOLATES STEP 12 WHEN HE ATTACKS A FELLOW COUNCLOR! CAMUSO VIOLATED STEP 8 of the 12 STEP PROGRAM Camuso falsely brags that he adheres to by desecrating the anonymity of Alcoholics Anonymous at a City Council meetng. Some “family values” – NOT! A councilor admitting to being a drunk took the focus off of the residents of Medford – but it is all about Camuso and Burke, and their self-absorbed beauty pageants. Far worse – Muccini-Burke allegedly enables her pit bull, Camuso, to use the council in an inappropriate manner to politicize issues and bash Muccini-Burke’s opponent relentlessly. 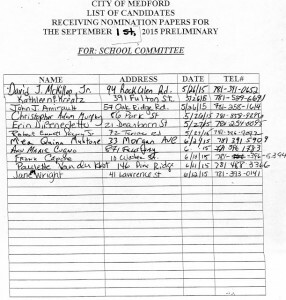 LAST NIGHT CAMUSO USED OUR COUNCIL TO GO AFTER MUCCINI-BURKE’S OPPONENT. BEYOND VULGAR, WAS IT EVEN LEGAL? 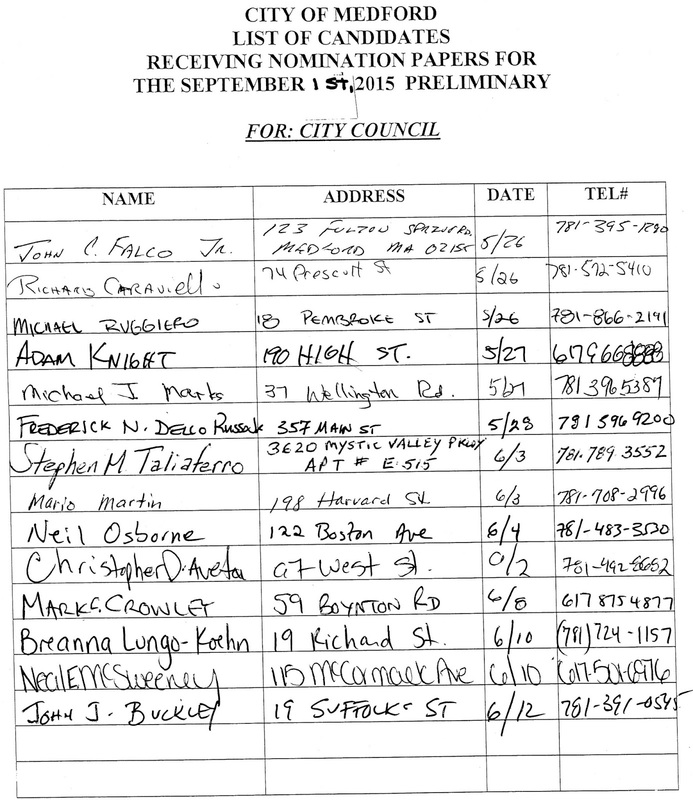 Muccini-Burke’s floundering campaign has made numerous missteps, but none as egregious as praising a lame-duck city councilor, Camuso, caught on camera at the council bullying residents and colleagues. The documentation is long and lengthy. Paul Camuso failed to do “the people’s business” when he used the city council to bash a candidate that Camuso has been fixated on for about a decade now. The unseemly act on behalf of Stephanie Muccini Burke was a cheap shot, the kind of cheap shot that a desperate bully throws when a Paul Camuso type knows that he can’t win fair and square. Camuso used these slimy tactics against Councilor Burke when his twice-arrested pal, Gary Zappelli, would put Camuso on the TV3 channel and give Camuso all the time that he needed, while Zappelli engaged in mean-spirited assaults on Muccini-Burke’s character, relentlessly. Do you realize it was this writer that cleaned up the mess Camuso’s friend Zappelli made of Stephanie Muccini-Burke’s name and likeness on Word Press. Burke didn’t even have the humility to thank me for my hard work on her behalf. Camuso does not care about “family values” or about what is ethical and right. Camuso doesn’t care about a level playing field. This is a war, and Camuso fights dirty, dirty, dirty. Stephanie Muccini-Burke wants Camuso to be his hatchet man. According to legend, Camuso is most proficient at that, and not much else. Consider Stephanie Muccini-Burke’s poor choices and her praising of reprobate Camuso before you give her your vote and cast Medford back into the McGlynn dark ages. This entry was posted in Uncategorized on June 17, 2015 by communitymedia. 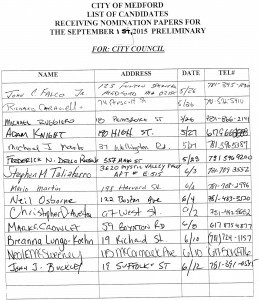 June 15th, 2015, Medford, MA – City Council Candidate Mario Martin believes economic turn is rapidly approaching South Medford. 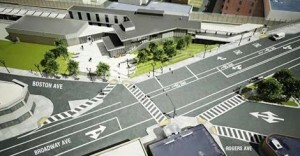 The Green line extension into Ball Square is nearly complete expanding the reach of public infrastructure into the local community. But when MBTA occupies 97% of its project on Medford and faces Somerville storefronts, Martin seems to think South Medford might be slightly underrepresented. Given the projects overwhelming benefits, the GLX not surprisingly has strong support from the majority of South Medford residents and the city administration, “But it’s important for the next administration to oversee the GLX through its completion”. Martin isn’t just talking about reducing congested Harvard street traffic, increased road maintenance, deadly auto emissions, and excessive parking demand; he’s talking about the economic growth potential. Since the GLX will be within a 10-minute walking radius for 10,000+ locals, many residents understand, with benefits comes change. Martin’s vision is to turn the area into a culturally conscious, frequent shopping & recreational marketplace. There’s no doubt the development is going to produce a wealth of benefits to South Medford residents, but Martin is concerned about the affordable housing and income inequality conversation everyone’s talking about. According to a qualitative data report from The Metropolitan Area Planning Council, rents around Green Line stations are predicted to increase by 67% and further included that housing prices also see speculative increases. Acknowledging there is a human impact by income inequality; a cost burden for middle and lower class families, this could potentially push families to be forced out of Medford, losing a sense of local community support and increased neighborhood turnover. This is bad for South Medford. To create affordable housing, you have to create more housing, and you have to do it in a manner that creates price stabilization and incentives for owner occupancy. Residential tax exemptions are an example of several incentives. Martin believes real estate performance is entirely based on market volatility. The longer your home sits on the market, the more value it loses, so naturally, real estate pros, value homes according to the average market time of similar homes that have recently sold. Martin emphasizes, this is how simple supply and demand works. Medford has a strong opportunity to maximize on these resources and develop a habitable experience for the South Medford & Hillside community and bolster municipal finances with significant new tax revenue. With more revenue, Martin wants the city to appropriate funding to improve police technology and increase public safety. “We are vulnerable”, Martin sympathizes as he advocates the importance for a safer Medford Community. “Public safety and school ratings are top priorities for every young professional, first time homebuyer and I know this because Real Estate is my passion”. 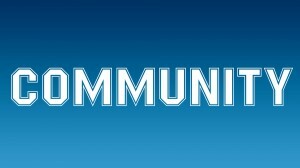 To learn more about Mario Martin and support the vision for Medford, visit the campaign online at www.MarioMartin.org. You can also reach him directly at 781.708.2996 (Don’t abuse) or by email at Mario@MarioMartin.org. 1)”Parking Enforcement” had plenty of room to legally park, look at the photo and see the LEGAL parking spaces on the right. The employee should be DOCKED PAY for parking on the sidewalk. 2)Cars in bus stops should be towed. Hydrants and bus stops should be ENFORCED, not just given a ticket. 3)A person who is supposed to enforce parking putting his vehicle on a curb and a sidewalk, allegedly not legally parked, should know better than to do that in front of a journalist’s home and be so outrageously arrogant about it. 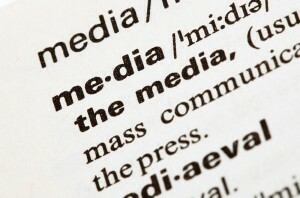 This media outlet does the people’s business. This media outlet provides proof that Mayor Michael J. McGlynn’s Administration has failed, that McGlynn is a poor leader and is never held accountable. Police Chief Leo A. Sacco, Jr. 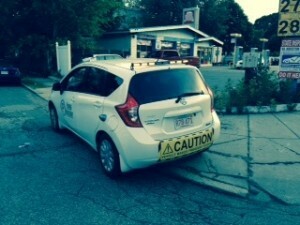 The photo above, Exhibit 1, is of a “parking enforcement” vehicle at 6:20 PM, June 12, 2015 parked on the sidewalk at Tony’s Gas on Garfield Ave. off of Salem Street. The representative had left the vehicle. 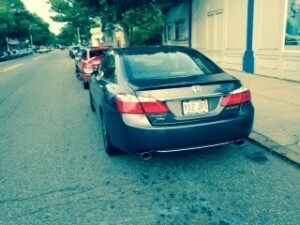 There were two cars parked in the bus stop across from 370 Salem St.
Rather than deter the incessant blockage of access to the bus, something that has gone on for years in Medford under the McGlynn Administration (some years back this writer/witness personally saw Mayor Michael J. McGlynn jaywalking from the odd side of Salem to the even side to go into 370 Salem St.) and when you talk about leading by example, here’s an SUV allegedly registered to Michael J. McGlynn’s father, and parked at a bus stop in South Medford -allegedly across from Bocelli’s. So much for the individual paid by citizens to lead allegedly not leading at all, but allegedly breaking the law and not being held accountable by your police department. This is prima facie evidence that the pay-to-park “enforcement” which McGlynn went rogue on the city to institute, is an abject failure. The individual in Exhibit 2 left yet the cars were still there. A bus came by with the cars still there. 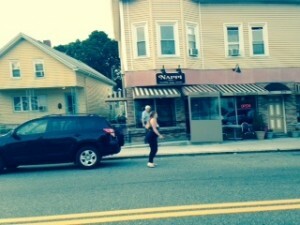 The woman in the car got out, leaving her car in the bus stop, and said she was going to the store. 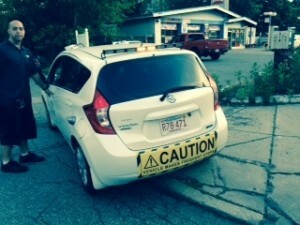 This is outrageous, while Republic Parking allegedly waits for people at the meters, here, where parking ENFORCEMENT rather than “gotcha meter watching” is needed, cars stayed in the bus stop, a clear danger to public safety. Now those who take the bus have to step out into traffic and take their lives into their own hands, for the discussion of Salem Street as the speedway from Route 93 to Malden and Revere is an old conversation. The woman – seeing my camera/phone said that the parking enforcement person was her “brother.” She than hurled invective at me that I was “over 60″ (true; which means she shouldn’t be disturbing the peace by loudly yelling at me) and she made a threat of an assault. At 6:24 pm the Transit police arrived. Two men discussing the situation with the woman from the vehicle STILL in the bus stop. 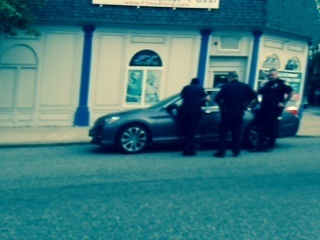 So while the woman ILLEGALLY PARKED and caused a ruckus, her car is STILL in the bus stop, not abiding by the law. The Transit police should have their report; it sounded like they were telling the woman she was being disorderly, you should read their report. a)”Parking enforcement” on the sidewalk of Garfield making it difficult for pedestrians. So much for leading by example. e)AFTER the “parking enforcement” car (my first photo of it from my window was at 6:18 pm) was on the sidewalk, and after it left, it had NO ENFORCEMENT, the cars remained in the bus stop, though the “agent’ allegedly of Republic clearly had spoken with the woman. IF Medford had real parking enforcement, towing vehicles in a timely manner, the alleged perpetrators wouldn’t “run to the store” while illegally parked; the alleged perpetrators wouldn’t be hurling invective at a man over 60, the traffic would not have obstructions from the parking agent (*allegedly from Republic,) the alleged Mayor might not be found allegedly jaywalking or allegedly parking his dad’s alleged vehicle in a bus stop, and the chief of police in Medford wouldn’t be spending too much time on an idea of Mayor Michael J. McGlynn’s that is a BAD idea, an idea that has caused a ruckus in our city. This journalist has spoken hundreds of times at the city council about car crashes on Salem Street, a body laying in the street near Cherry and Salem years ago, all sorts of chaos because we have no parking enforcement; we have a lame-duck mayor looking to bleed the citizens dry, to punish good, honest citizens who park legally, and not towing the cars that are causing the problem. 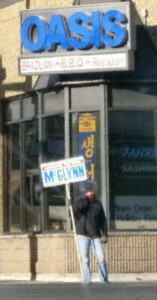 There is something very wrong with the failed leadership of Michael J. McGlynn. Who are you going to believe? The lame-duck Mayor, or these photos? 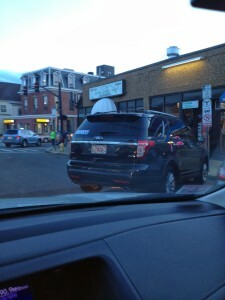 McGlynn’s failure to lead on parking is like so many elements of his broken Administration. A police station falling apart, no access television (though overcharged cable-tv subscribers pay through the nose for it,) a fire station or two or three in need of repair, schools needing repairs, broken streets, infrastructure for water and sewer most likely not updated in years, and now McGlynn is taking a walk, forcing other people to clean up his mess. Meet me for coffee in Woburn or Stoneham so the Medford insiders don’t hear us talking!!!! STEPHANIE MUCCINI BURKE HOLDING MCGLYNN’S WATER…and SIGN! 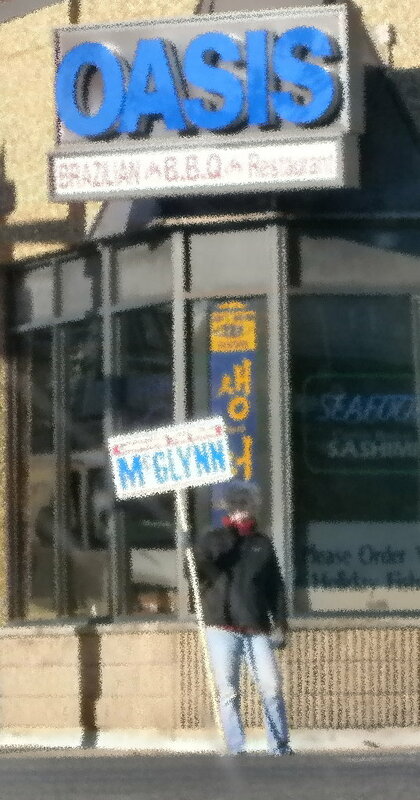 MEDFORD’s former BUDGET DIRECTOR OUT CAMPAIGNING FOR MICHAEL J. MCGLYNN – it’s the same old same old as McGlynn Fatigue sets in on the citizens of Medford, Mass. 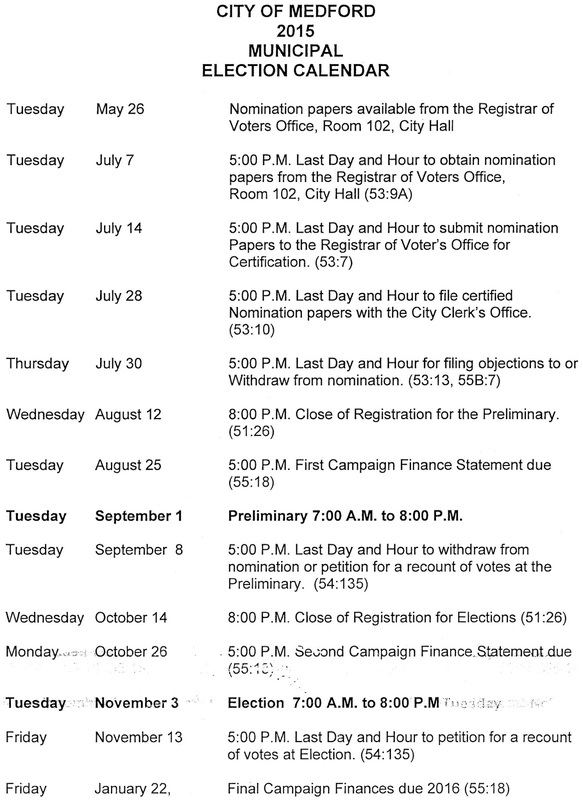 MEDFORD had not heard much from Stephanie Muccini Burke until she emerged from her turtle shell in the Mayor’s office as Director of Budget and Personnel on May 15, 2015, about a month ago. 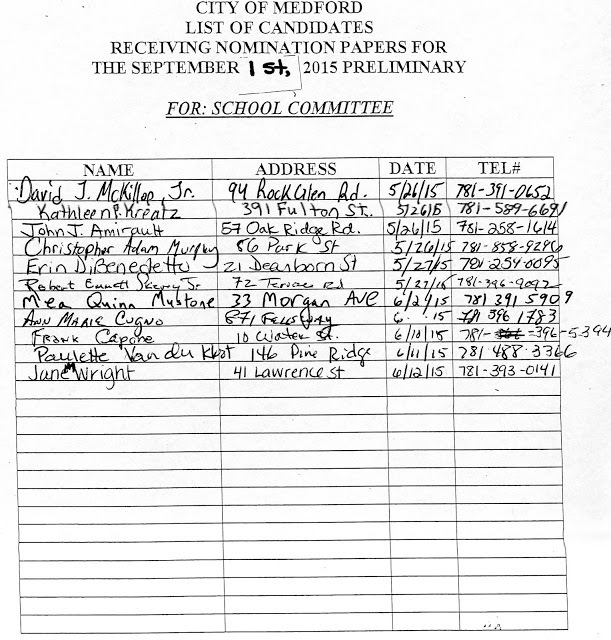 A person with integrity would have resigned in April when Mrs. Burke announced she was running for office. Stephanie was a good city councilor five years ago. She listened to her constituents, but she was blocked by Paul Camuso and Freddy Dello Russo, Jr. when Mrs. Burke attempted to bring City Solicitor Mark E. Rumley to the council to discuss Paul Camuso’s suspicious, reprobate friends at Medford Community Cablevision, Inc., the failed access TV station forced out of the city by McGlynn after they had given McGlynn’s enemies smear jobs (including Burke) for decades. McGlynn sat by and did NOTHING while the Solicitor was attacked with the lurid “Chumley Report,” and when Stephanie Burke’s nose was maligned allegedly by the twice-arrested Gary Zappelli, the good friend of McGlynn’s who perpetrated the alleged False Bomb Threat at Station Landing (where Zappelli is forbidden from stepping foot these days) or giving alcohol to a 16 year old cadet in Provincetown on or about July 8, 2014, that disgusting character molested Mrs. Burke’s name and features with impunity. 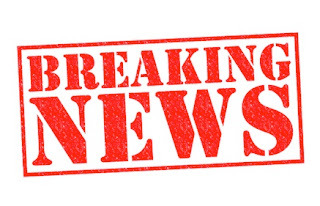 Why Mark Rumley and Stephanie Muccini-Burke would put up with such very personal and mean-spirited attacks from a 501c3 non-profit PROHIBITED from attacking Burke as she was an elected official, just shows the lack of integrity that both Burke and Rumley have publicly exhibited. They are an embarrassment to this community for not standing up for themselves. Rumley, in fact, viciously attacked this writer for a funny little poem (my lawyer had to set him straight saying, reportedly, “Mark, my client thinks you’re a hypocrite.”) It is hypocrisy when Rumley came to me for a DVD transfer of the Chumley Report and, rather than use the DVD to bring Medford Community Cablevision, Inc. to justice, Rumley just listened to his lord and master, Michael J. McGlynn, and failed to protect the public and the public monies from TV3 Medford. Joe Viglione / P.O. Box 2392, Woburn, MA 01888 Meet me for coffee in Woburn or Stoneham so the Medford insiders don’t hear us talking!!!! This entry was posted in Uncategorized on June 12, 2015 by communitymedia.